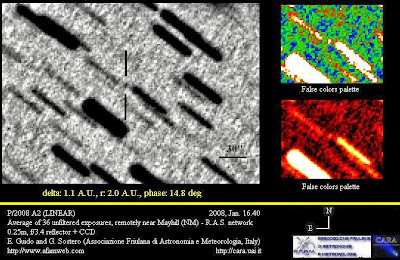 Asteroid 2007 TU24, discovered by the Catalina Sky Survey on October 11, 2007 has closely approached the Earth to within 1.4 lunar distances (334,000 miles) on 2008 Jan. 29 08:33 UT. 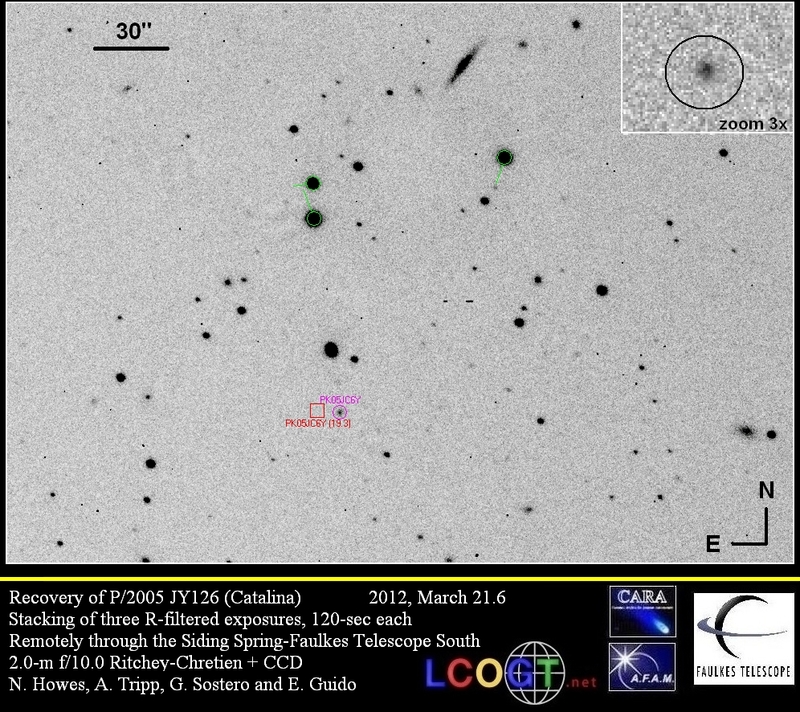 We have observed this object from Remanzacco Observatory with a 45cm f/4.4 reflector and CCD FLI IMG 1001E. 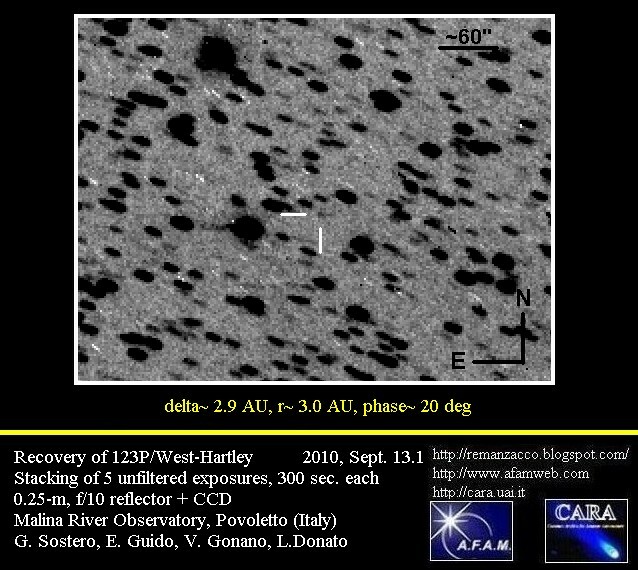 Below You can find our video composed of 100 images x 2 seconds showing this asteroid (magnitude 10) from 20h29m to 20h 45m UT. 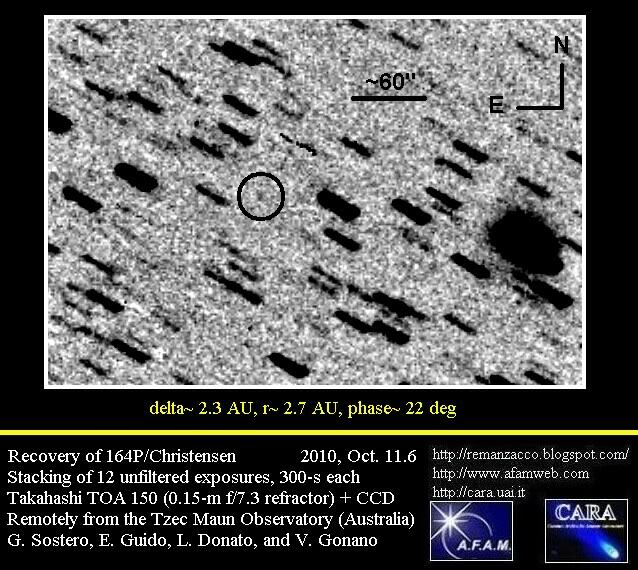 2007 TU24 will be the closest currently known approach by a potentially hazardous asteroid of this size (between 150 and 600 meters in diameter) or larger until 2027. 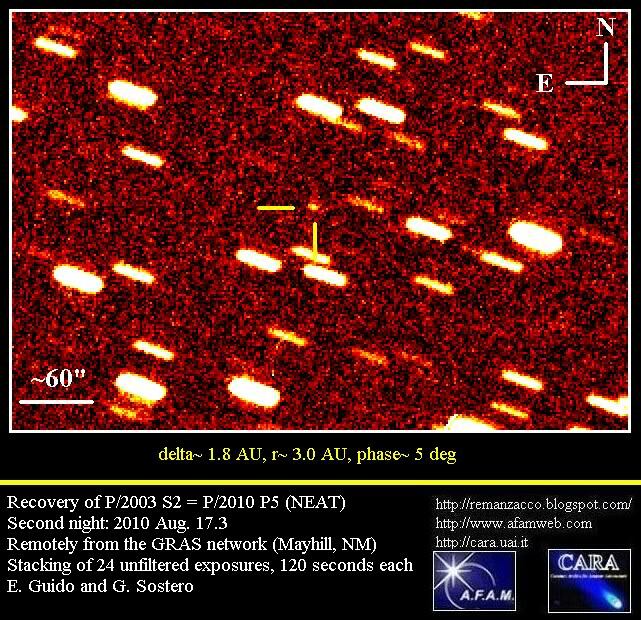 Scientists at NASA's Jet Propulsion Laboratory in Pasadena, Calif., "have obtained the first images of asteroid 2007 TU24 using high-resolution radar data. 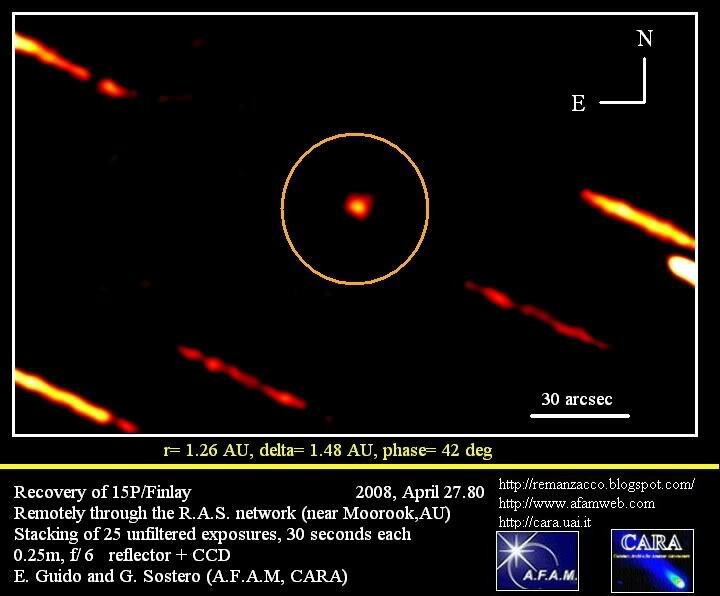 The data indicate the asteroid is somewhat asymmetrical in shape, with a diameter roughly 250 meters in size." 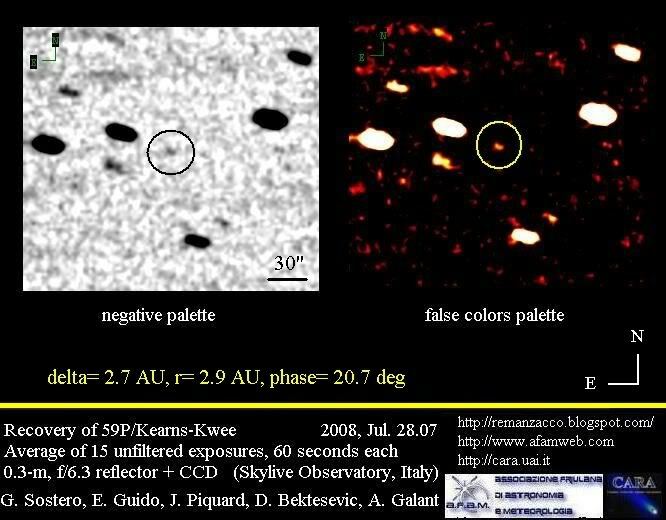 Below you can see the low-resolution radar images of asteroid 2007 TU24 taken over a few hours by the Goldstone Solar System Radar Telescope in California's Mojave Desert. 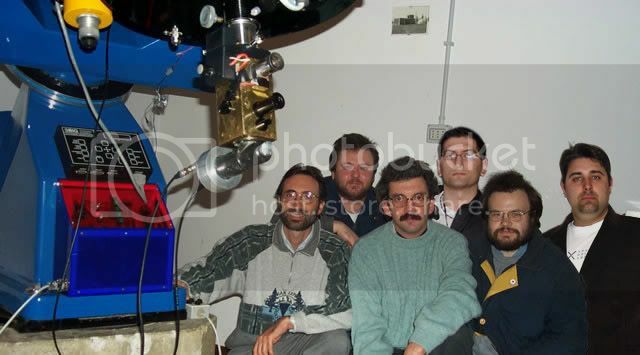 Image resolution is approximately 20-meters per pixel. In our stacking is possible to appreciate a nice coma, nearly 30arcsec across, elongated toward North-East. 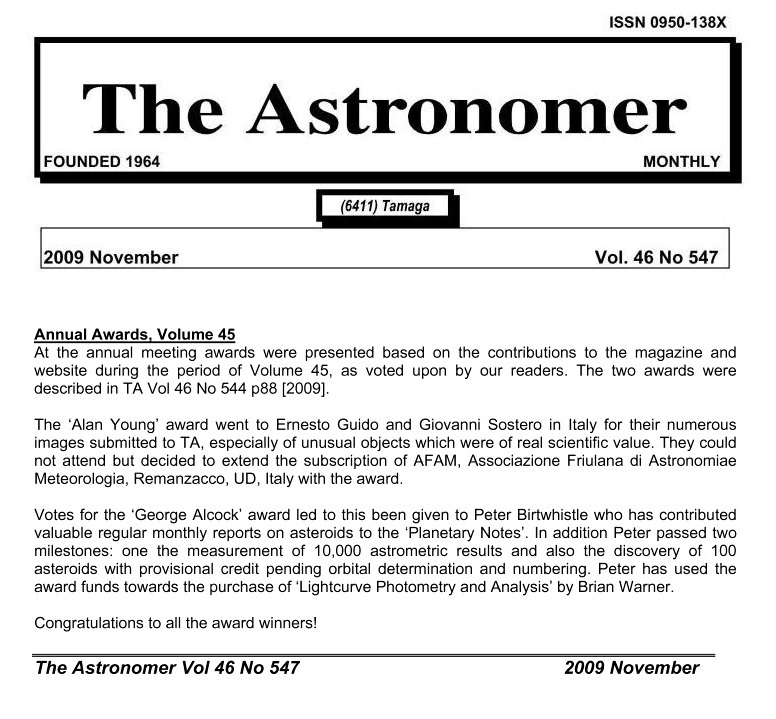 The total magnitude (unfiltered CCD) is nearly 15, while the Afrho calculation (proxy of the dust abundance within the coma) provide a value close to 670 +/-50 cm (with a photometric profile very flat between 15,000 and 40,000 Km from the central condensation). 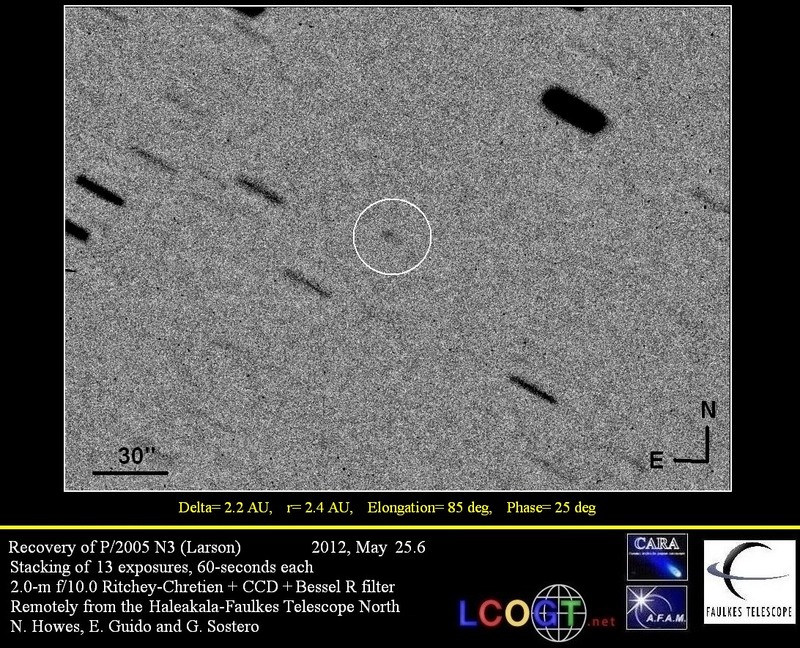 This seems to indicate an active object, if we consider that currently this comet is nearly 4 AU from the Sun (inbound). The preliminary orbital elements, published by the Minor Planet Center in M.P.E.C. 2008-A48, show that this comet will remain a mainly southern object, with perihelion occuring in November 2008, and a total m1 considered to be nearly magn. 10 at its best. IAUC nr. 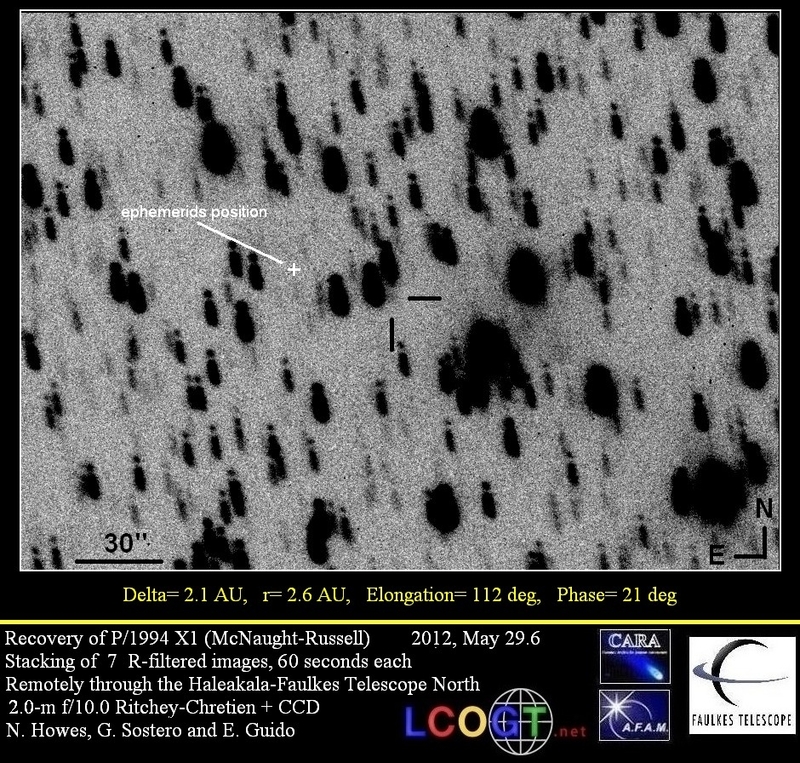 8912, published yesterday, announces the discovery of a new periodic comet, P/2008 A2 by means of the LINEAR survey. In our stackings we didn't found any convincing evidence of a cometary features, probably because the extremely tiny coma reported by onlyone observer (J. 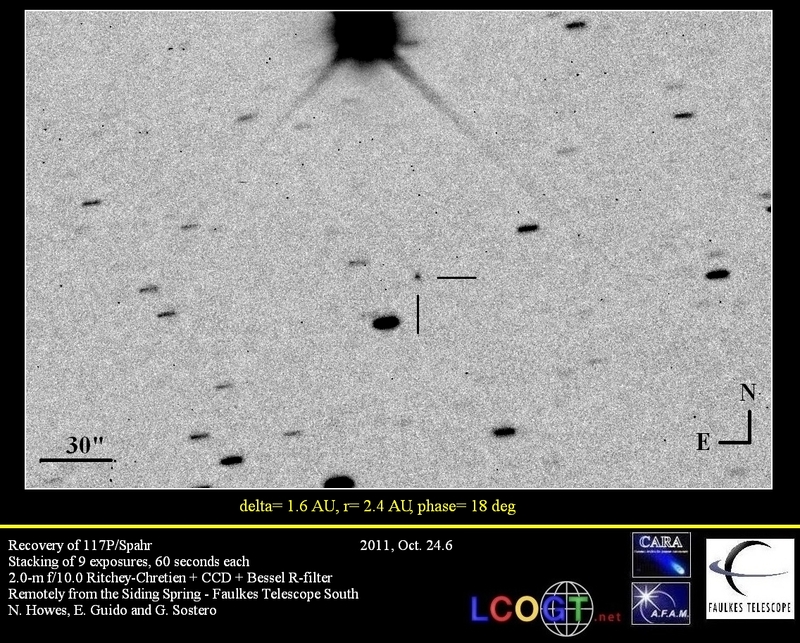 Young, Table Mountain 0-61m reflector + CCD: 4"-6"diameter) was well below our threshold limit.